GAZIVODA LAKE, Kosovo (Reuters) - Serbian President Aleksandar Vucic pledged to continue talks with Kosovo officials to resolve differences but warned it would take a long time to reach a broad deal with Pristina that could allow both nations to move toward EU membership. 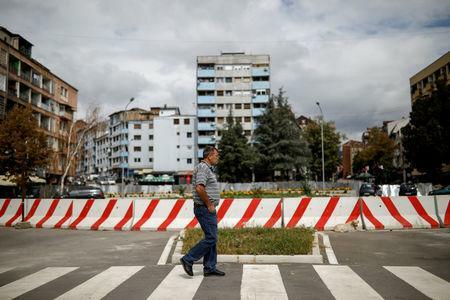 Expectations of an agreement that would involve a land swap, a proposal floated by both Belgrade and Pristina, dimmed after a face-to-face meeting between Vucic and his Kosovo counterpart, Hashim Thaci, was abruptly canceled on Friday. Serbia lost control over Kosovo in 1999 after NATO bombed to stop killing and expulsion of Albanians by Serb forces during a two-year counter insurgency war. Kosovo declared independence in 2008 and has been recognized by 100 states, including five EU members and Russia, but not by Serbia. Normalizing bilateral ties is a key condition for both nations to advance toward their eventual goal of EU membership.